I've been under the weather since returning from Denver, which made for a great chance to curl up on the sofa and watch a few videos. I've included some of those this week. Two short videos from dotCSS and a recorded Hangout on Web Typography and Layout. "One of the key tool for responsive design is getting smarter. Florian gives us a quick look at what we have, which part of the original design turned out to be a bad idea, what we're doing instead, and how to best use it all." Andy Clarke explains how to use CSS Custom Properties while supporting browsers that don't support custom properties. I've finished the work I've been doing documenting Flexbox for MDN. There are eight guides covering various aspects of the specification in addition to glossary entries. Benjamin talks about using Grid Layout in production at Stripe. A conversation between Jen Simmons, Roger Black and Jeffrey Zeldman on the past, present and future of web typography and layout. A CSS Grid Christmas tree. I love the fact you can see the tree in the grid-template-areas value. Some conferences are pleasant at the time, but leave you longing for usable knowledge afterwards. An Event Apart is different. 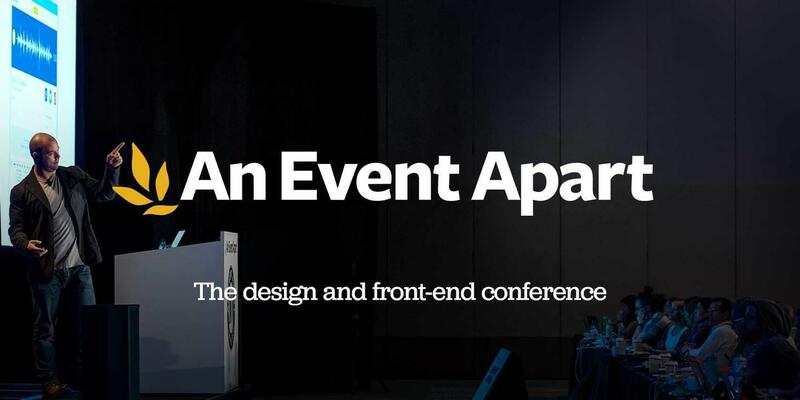 It’s 3 days of essential design, code, and content. Filled with actionable ideas and top takeaways to build your skills. Taught by the industry’s most engaging designers, front-end devs, and strategists. Set yourself Apart. Save $100 with code AEACSSLAYOUT.